Danilov & Konradi is pleased to announce the promotion of senior counsel Edwin Tham and counsel Peter Khokhlov to partner. 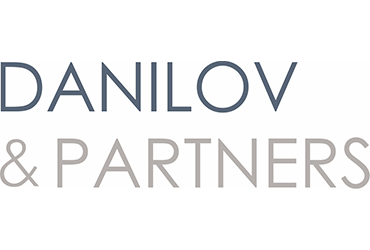 In view of the growing number of partners, and the firm’s expansion into new markets and areas of practice, the firm will also be changing its name to Danilov & Partners. Edwin Tham is qualified as an English solicitor, Singapore advocate and solicitor, and New York attorney. He has been leading the firm’s Asian practice since 2015. Before joining the firm, Edwin was the managing partner of the Moscow office of a top-tier international law firm, and also led its corporate practice. For the past 10 years, Best Lawyers has consistently recognized Edwin as a leading corporate and M&A lawyer in Russia. Peter Khokhlov will lead the firm’s US practice and ICO and blockchain practice group. Peter is a member of New York bar. Before joining the firm in 2015, he had worked for a major international law firm, an investment company and a “Big Four” advisory practice. “Our firm used to be a corporate boutique. Over the past four years, we have made great progress – increasing our team fourfold, successfully completing deals with an aggregate value of US$15 billion and establishing new practice areas. In January 2017, partner Roman Serb-Serbin joined the firm and has created a highly-successful dispute resolution practice. In the same year, Nato Tskhakaya was promoted to partner in the corporate practice and established our antimonopoly practice. In October 2017, we set up an ICO and blockchain practice group and soon after – in March 2018 – we were recognized as one of the top 3 Russian ICO legal advisors (second place by number of deals) by Legal Insight Magazine. I am sure that the new status of Edwin Tham and Peter Khokhlov will strengthen the firm’s position on the market,” said managing partner Andrei Danilov. For more information, please contact Inna Oleynikova at ioleynikova@danilovpartners.com or +7 495-134-4400.